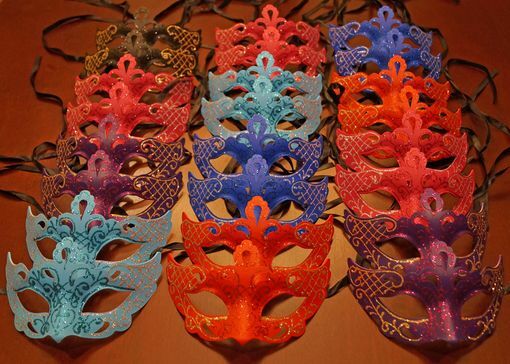 Vexen Masquerade mask party pack comes with 24 assorted colored masks. Each mask is hand painted and glittered. Comes with black ribbon ties.